Please email to alan@acsmarketing.biz for order and enquiry. 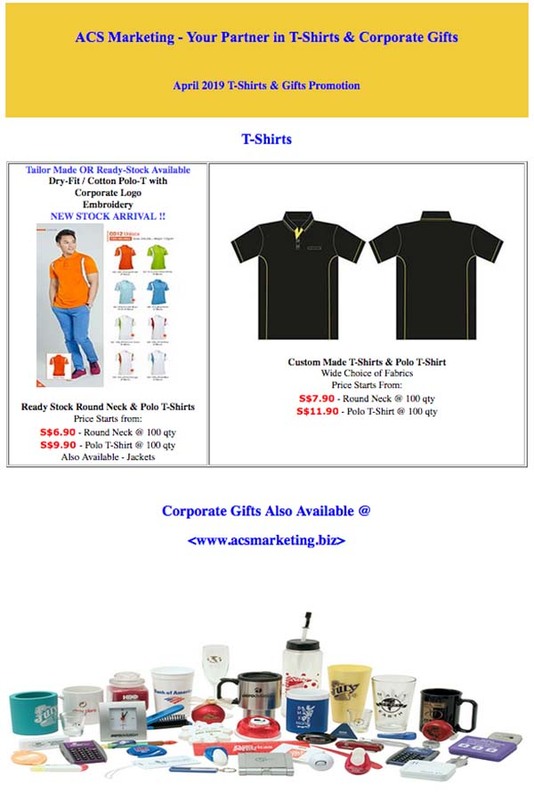 Welcome to ACS Marketing Online store! Check out our latest Gift Catalogue for more gifts ideas. Remember to refresh / reload this page regularly. Our website is updated very constantly, as and when new products are added. So, please come back regularly to check out new items. Copyright © ACS Marketing - Your Partner in T-Shirts & Gifts. All rights reserved.